Family friendly, this Oceanfront resort condo has 1 bedroom, 2 private baths (one w/ tub, one w/ walk-in shower), a private living room with a Queen pullout 8.5" sleeper mattress sofa, as well as a comfortable Queen Murphy bed for extra sleeping space. It also sports a fully stocked remodeled kitchen and private covered lanai with partial ocean view. The Maui Sunset is on Waiohuli Beach, an unspoiled, uncrowded area, and one of Maui's best kept secrets! World class golf courses and snorkeling beaches are nearby. Centrally located in Mid-Kihei, lots of restaurants, shopping and groceries are within easy walking & biking distance. The Aloha Mai Suite is a beautiful, renovated and comfortable, one bedroom condo on the ground-floor of one of the best maintained resort/condominium complexes on Maui.Aloha Mai means "to receive love". We would love to host you and make your stay the most memorable and enjoyable as possible! Lovely spot on ground level with everything you need to enjoy your stay. Very responsive owners. Ample sleeping space with the Murphy bed. Beautiful stay for our family of 5!! We loved this location, the condo, the view, and especially the convenience and amenities. Having a kitchen is important to us and they provided everything we needed to cook meals! We enjoyed the grassy area outside the patio door and loved walking the property and swimming in the pool. Very nicely kept property, clean and welcoming!! We would love to come back sometime and would recommend to friends visiting the area! Thank you! Big Mahalos for the 5 stars!!! We loved having you. Looking forward to your return. Thank you so much for the recommendation. We really appreciate it. Thanks for sharing your home with us during our stay. Love the remodeled kitchen and it was well stocked. 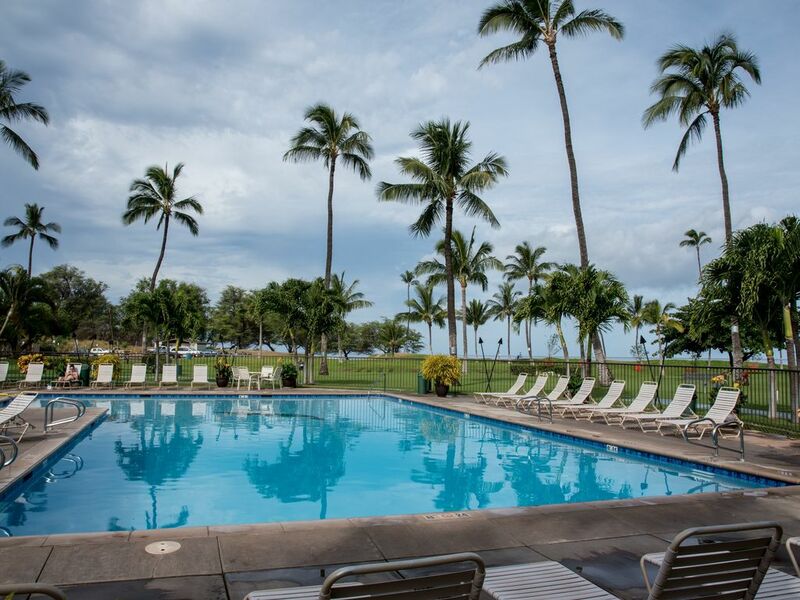 We enjoy staying at Maui Sunset with its great amenities. Mahalo! Aloha and Big Mahalos for the review! So glad you enjoyed your stay. Would love to host you the next time you're on Maui. We had a great time. The closet full of sand and beach equipment was the best! Aloha Debbie! Happy to hear your had a great time! We had a great experience staying here very close to the beach and the room had all the necesities that we needed. I would recomend this place to anyone. January 4 to April 14 .. $150/night (minimum 5 nights) $1000/week plus tax.